Welcome to Pak-A-Nut Storage. We are one of the first facilities in Washington State to install a Self Serve Automated 24hr Kiosk. Welcome to Pak-A-Nut Storage. We are one of the first facilities in Washington State to install a Self Serve Automated 24hr Kiosk. This facility is as up to date with security and user friendly rentals as you would expect. It’s not only easy to rent but it also makes it much simpler to pay your monthly bill. 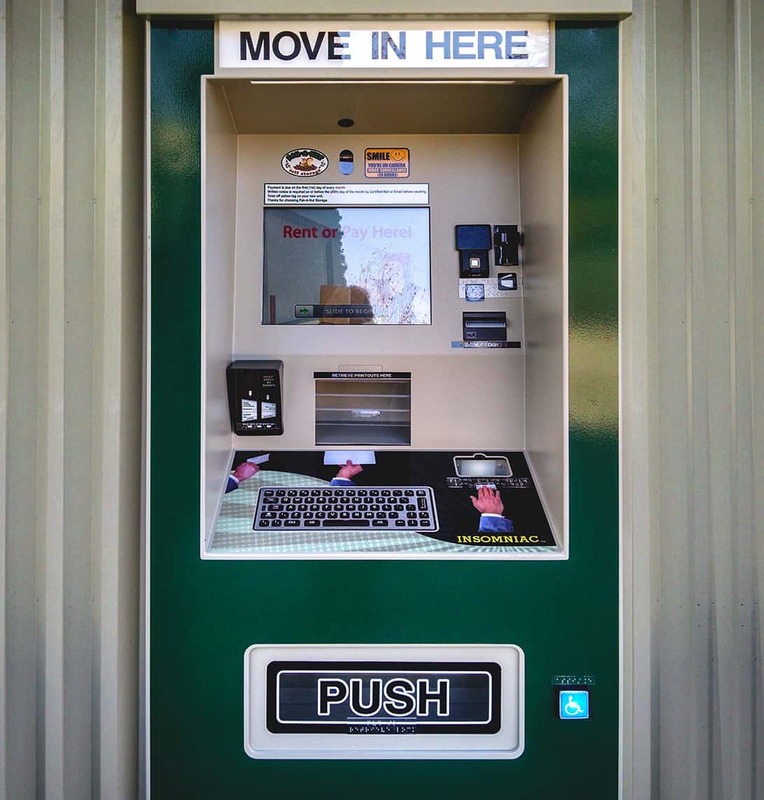 This Kiosk can accept Cash, Credit Cards, Checks by ACH/Bank Draft for your rental space, and even sell you a lock at the facility, and don’t forget the 24hr convenience. Magen, your personal electronic assistant, will walk you through step by step to help you during your rental process. It usually averages around 5 minutes for a complete rental. Don’t forget to bring along your drivers license for ID, as she will ask for it. Medium Locker – About 50 Square Feet – What Will Fit? This space will hold some furniture such as a couch and chair, chest of drawers or dresser, box spring and mattress set, plus small items and boxes. Large Locker – About 100 Square Feet – What Will Fit? This space will hold furnishings from a one-bedroom apartment without appliances, small boxes and small miscellaneous items. Large Bedroom – About 150 Square Feet – What Will Fit? This space will hold furnishings from a two-bedroom apartment with appliances, miscellaneous items and boxes. Small One-Car Garage – About 200 Square Feet – What Will Fit? 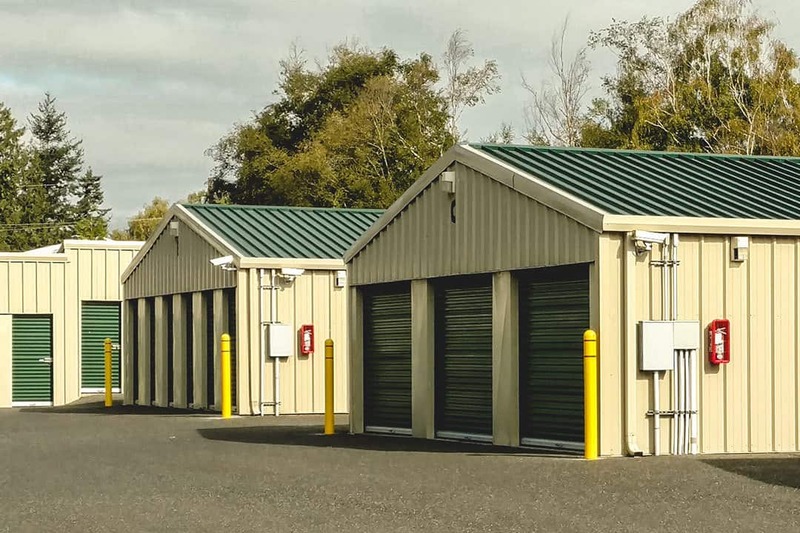 This space will hold furniture from a two or three bedroom apartment or house with appliances, garage extras, outdoor furniture and tools, miscellaneous items and boxes. Extra Large One-Car Garage – About 360 Square Feet – What Will Fit? This space will hold furnishings from a four or five-bedroom house with appliances, garage extras, outdoor furniture and tools, miscellaneous items and boxes. Auto / Boat / RV. © 2017 Pak-a-Nut Storage. All Rights Reserved.